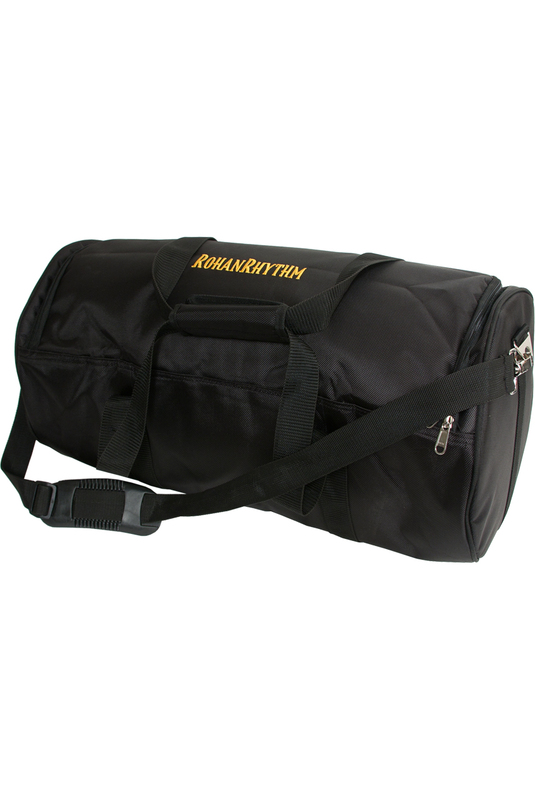 RohanRhythm 22 x 11 Inch Mridangam Gig Bag High Pitch Nylon. RohanRhythm Gig Bag for High Pitch Mridangam MRDRHGB. RohanRhythm Gig Bag for High Pitch Mridangam. Zippered padded gig bag has 3 straps, one strap has Velcro handle. It has a detachable shoulder strap. Inside measurement - 22" x 11" x 11"